Why should we join if we’re already protected by a security system…3 dogs…etc.? Most criminals are not deterred at all by a blaring alarm because they know that there will be a significant delay before police arrive at the scene. 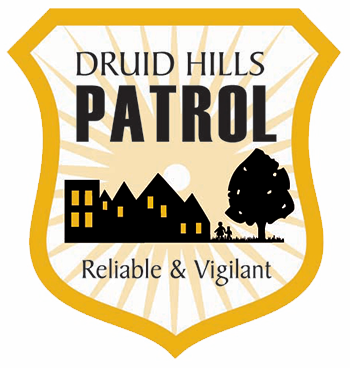 If we can increase DHP membership, we can increase the number of hours that DHP’s bona fide police officers are stationed in the neighborhood ready to respond. Alarm systems don’t protect you while you or your kids are outside the structure playing in the backyard, gardening, enjoying the pool, etc. The presence and visibility of real police in the neighborhood discourages criminals from entering the area, and this increases the safety of our streets and sidewalks and backyards. You may believe that your dog(s) provides adequate protection for your family and property. However, police departments warn that determined criminals easily outwit dogs of all sizes. We have heard tragic stories of family dogs incapacitated or even killed by drugged or poisoned meat. The presence of bona fide police officers patrolling regularly in the neighborhood is a visible deterrence to criminals and enhances the safety of our entire neighborhood, including our parks, streets and sidewalks.